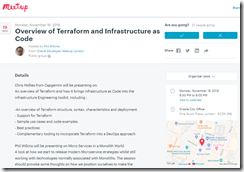 -An overview of Terraform structure, syntax, characteristics and deployment. 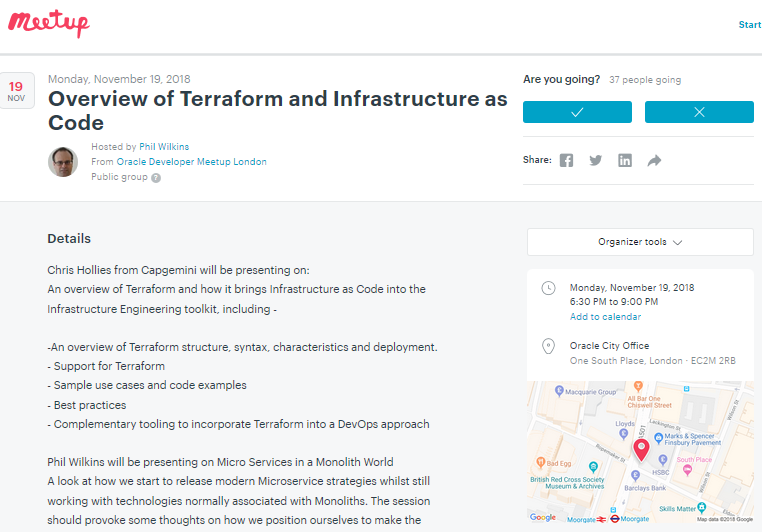 Phil Wilkins will be presenting on Micro Services in a Monolith World. A look at how we start to release modern Microservice strategies whilst still working with technologies normally associated with Monoliths. The session should provoke some thoughts on how we position ourselves to make the transition to microservices.